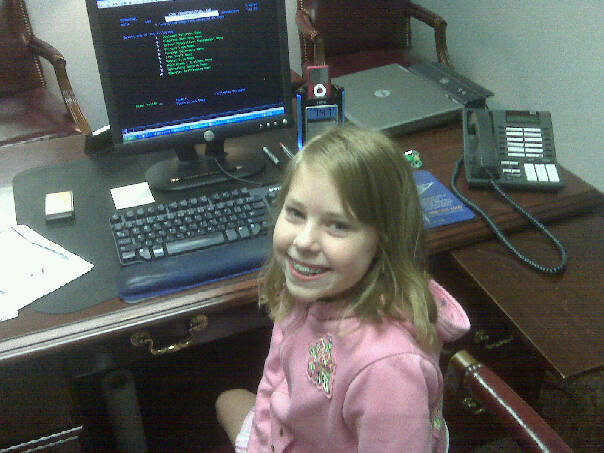 I was blessed today by having Elise in the office with me. It’s rare for one of the kids to be there. I took this pic of Elise “working” at my desk. Good times!